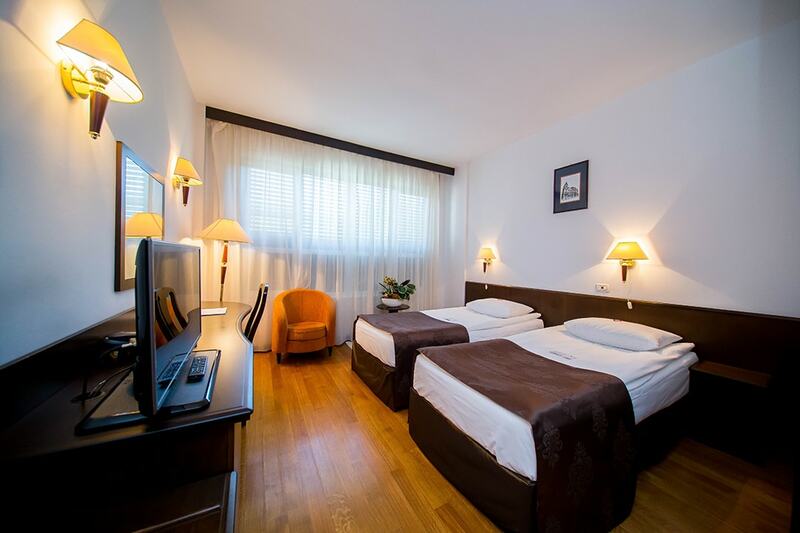 Hotel Best Western Central Arad offers you 2 luxury suites, with the highest standards of accommodation and comfort for tourists and business persons. Room facilities: Free WiFi, domestic and international phone, air conditioning, LCD, minibar, wake up service, elevator, private bathroom. The Double rooms blend perfectly the comfort with useful generous living and matrimonial beds, ensuring a pleasant stay for your family at Best Western Central Arad. Room Facilities: TV satelite, free WiFI, air conditioning, minibar, wake up service, elevator, private bathroom, hair dryer. Spacious, elegant with modern- the twin room is the perfect choice for two people who want separate beds. Facilități Cameră: TV satelite, free WiFI, air conditioning, wooden floor, minibar, wake up service, elevator, private bathroom, hair dryer. Ideal for the moment when you are travelling alone, the single room offered by Best Western Central Arad provides the best conditions for relaxation or work. Room Facilities: satelite TV, free WiFI, air conditioning, wooden floor, minibar, wake up service, elevator, private bathroom, hair dryer.